Bethany and Adam Coursen run a small dairy farm that's been in Adam's family for generations. 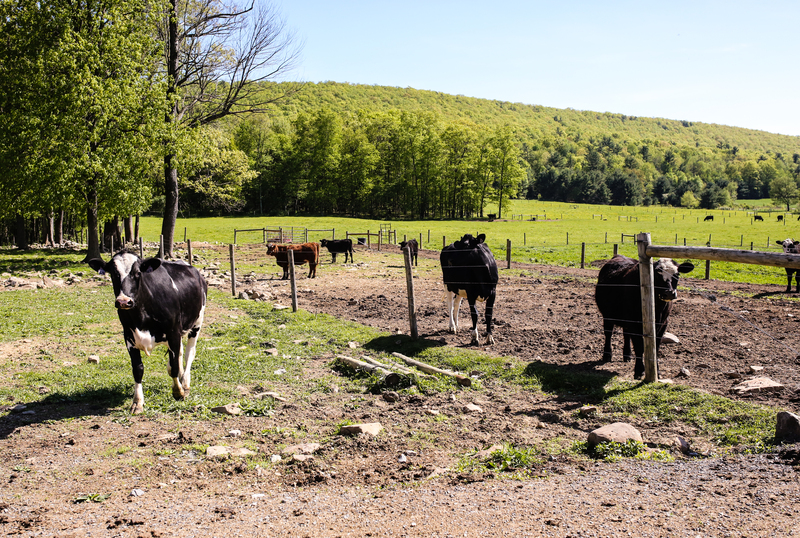 Recently, Valley Wide Farm has started raising beef cattle, an expansion that helps the dairy minimize waste and gives a purpose to the milkless males. All animals graze out on pasture and are only fed grains that are grown on Valley Wide Farm. Being a small operation, Beth and Adam have the chance to work more closely with their animals. So closely, in fact, that they name every animal they raise.